Headstone stone maker: J.Murphy Gorey. 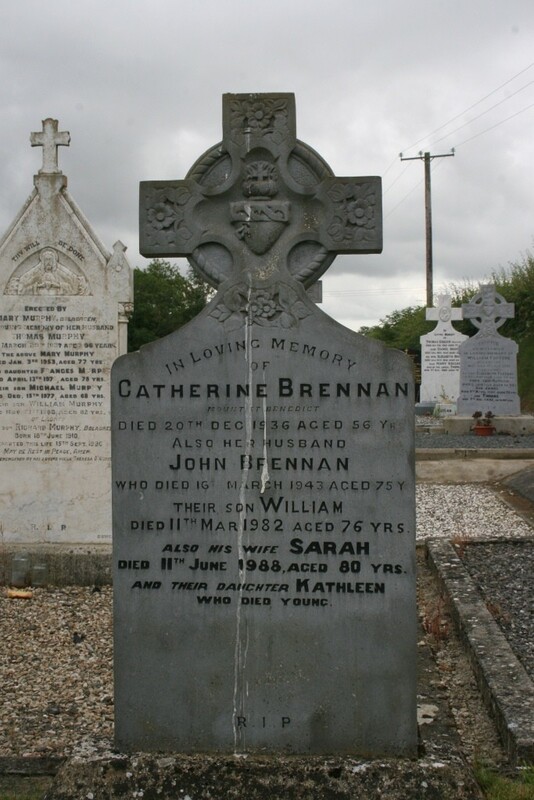 In loving memory of Catherine Brennan Mount, St. Benedict died 20th Dec. 1936 aged 56 yrs. 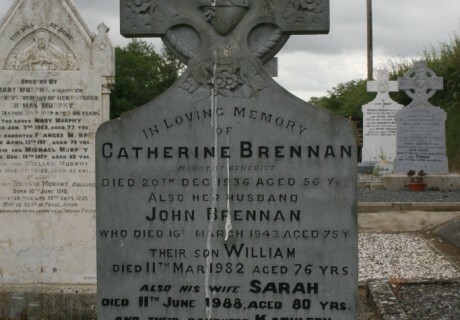 Also her husband John Brennan who died 16th March 1943 aged 75 y. Their son William died 11th Mar. 1982 aged 76 yrs. Also his wife Sarah died 11th June 1988 aged 80 yrs. and their daughter Kathleen who died young.